If you long for the days when everyone in the neighborhood knew each other’s names – and business – you’ll either be delighted or horrified by Nextdoor, an app that lets you get to know your neighbors without ever actually talking to them. 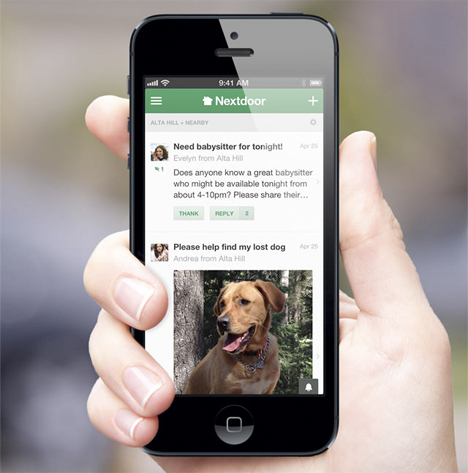 The app offers a private social network accessible only to those in a certain neighborhood so you can invite people to social events, find babysitters, organize a neighborhood watch or locate a lost pet. 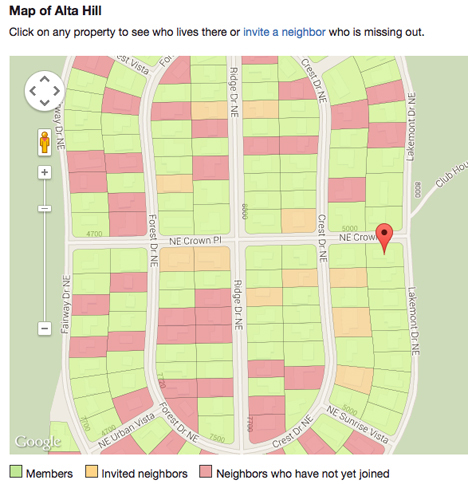 Nextdoor can be accessed through the mobile app or on the web, with over 17,000 neighborhoods currently in its database. The idea is to connect with your neighbors to share important local information, goods and recommendations. Participants can discuss suspicious activity, share numbers for reliable plumbers, notify each other of special local events or report found items like wallets and keys. Every neighbor has to sign in with their real name and verify their address. 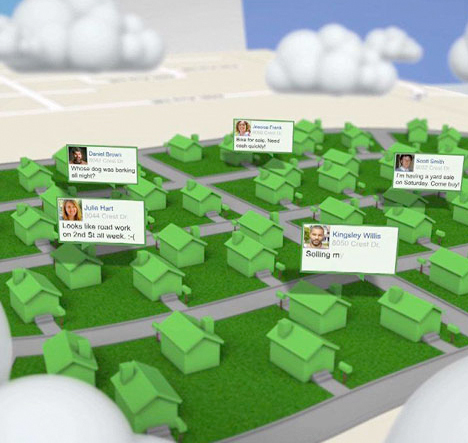 In an age when most people communicate through Facebook and Twitter, and nearly all of us have smart phones semi-permanently glued to our palms, apps like Nextdoor can re-forge the connection between neighbors that has degraded over time. 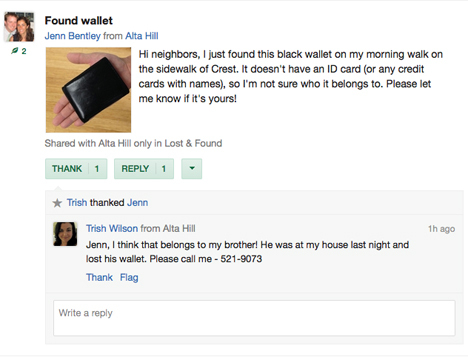 Some may mourn the loss of real, face-to-face interactions between neighbors, and fear that apps like Nextdoor will make it worse – but how else can you get to know the recluse on the hill who’s averse to barbecues but acutely interested in the identity of a local mail thief? Online neighborhood communities could be particularly helpful in emergency situations, as well. Check it out at Nextdoor.com.